The National Highway Traffic Safety Administration has declared this week, October 19-25, as National Teen Driver Safety Week. Due to the sad reality that motor vehicle crashes are still the leading cause of death for teens ages 14 to 18, the NHTSA has made this issue a top priority. 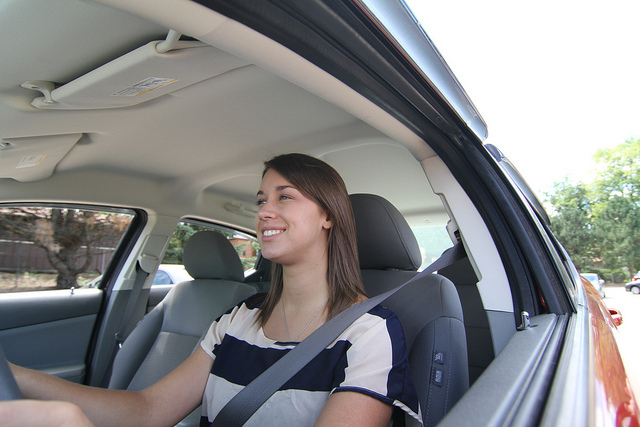 The NHTSA’s “5 to Drive” rules are designed to raise awareness about the five biggest issues teen drivers face today. The NHTSA has listed out the top five safety concerns for teen drivers by analyzing data and statistics from auto accidents involving teen drivers across the United States. From driving impaired to having too many passengers in the car, there are numerous issues that can greatly increase a teen driver’s risk for being involved in an accident that could result in serious injuries or death. By addressing these safety concerns with teen drivers, parents can make a huge impact on the safety of their teen when behind the wheel. Even though teens are not legally allowed to consume alcohol, they are at a greater risk than drivers in any other age group of being involved in an alcohol-related crash. It should also be noted that extra passengers can increase a teen drivers risk of being involved in a collision, so it is best to limited teens to no more than one passenger in their car at any time. Even what can seem like minor details can have a great impact on inexperienced drivers. As a parent, it is smart to have regular conversations with your teen driver about these five key issues and lead by example. When you are driving, make sure to follow all safety rules, including wearing your seatbelt, and limit the distractions around you. Teens are quite perceptive, and if you are a safe driver, then the odds are your teen will pick up on your safe practices and put them into action when they are behind the wheel. Inexperience along with numerous other factors place teen drivers, passengers and other motorists sharing the roadway at a greater risk for being involved in a serious collision. If you or a loved one has been injured in any kind of crash, a Florida Auto Accident Injury Lawyer at Whittel & Melton can help. You can reach us 24/7 by dialing 866-608-5529 or contact us online.